These tasty beans are made to our special recipe, including rich Italian tomatoes and onions with a hint of black pepper. And as you'd expect, no artificial ingredients whatsoever. A classic breakfast choice and ideal on a baked spud! 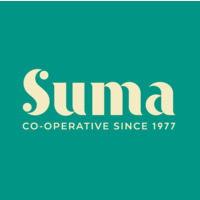 Suma Organic Baked Beans are an Ethical Consumer Best Buy product. This product is Organic and is Vegan. Not what you're after? Try looking for more in the category Beans & Pulses - Canned. Hob: Pour into a pan, medium heat, stirring occasionally until desired temperature is reached. No boiling - it spoils the flavour. Microwave: pour into a suitable container and cover, full power for two minutes, stir then full power for a further one minute. Once opened store in suitable container and refrigerate.